Adil Rashid is in the sights of BBL wooden spooners the Melbourne Stars. BIG Bash League clubs are engaging in an aggressive bidding war over several of England's finest international cricketers. 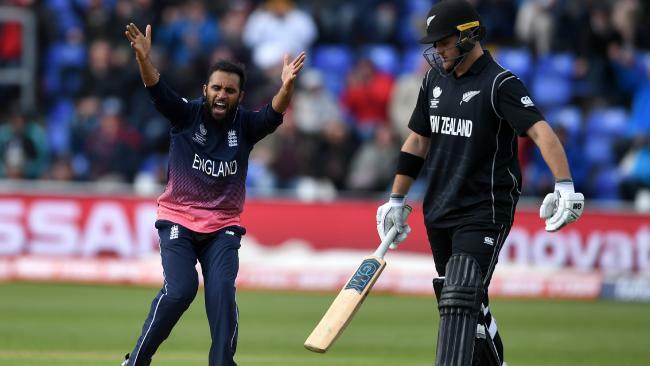 The Melbourne Stars are reportedly leading the race to sign 30-year-old leg-spinner Adil Rashid, who would be available to play every match in BBL 08. Rashid has played 10 Tests, 60 one-dayers and 28 T20s for his country and is highly regarded in the shortened formats. Rashid has previously played under Jason Gillespie at the Adelaide Strikers but with Afghani leggie Rashid Khan making waves in the city of Churches, it appears the Stars have swooped at the right time on the Englishman. 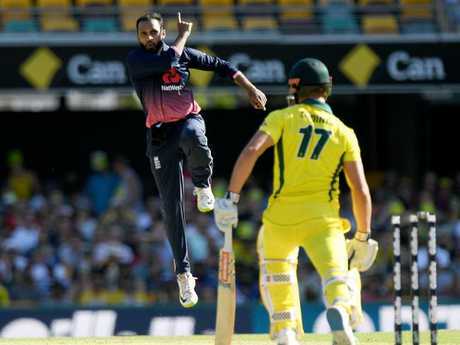 England bowler Adil Rashid dismisses Australia’s Marcus Stoinis. Rashid is just one of many white-ball England specialists to have been courted heavily by a BBL franchise, with Sam Billings, Jason Roy, Alex Hales, Chris Jordan and Liam Plunkett also high sought after overseas players. If the Stars win the race to sign Rashid as expected, the wrist-spinner will join fellow recruit Nic Maddinson in what will be a new-look team following the retirements of Kevin Pietersen and Bob Quiney. England's internationals will have close to eight weeks off between a tour of Sri Lanka in November and December this year and a trip to the West Indies in February 2019. The gap has left BBL franchises salivating at the prospect of luring Ben Stokes, Chris Woakes, Joe Root or Moeen Ali down under for what is expected to be an expanded 14-game season. However it's understood England's white ball specialists are more likely to be released by the England and Wales Cricket Board for the entire BBL 08 than their red ball counterparts. Ben Stokes could be in high demand by BBL clubs. The Brisbane Heat is one club who is keeping an extra close eye on Ben Stokes' form and court hearings after the franchise withdrew its offer to Melbourne Stars all-rounder Marcus Stoinis recently. If Stoinis decides to depart the Stars, the Scorchers are favourites to win his signature. 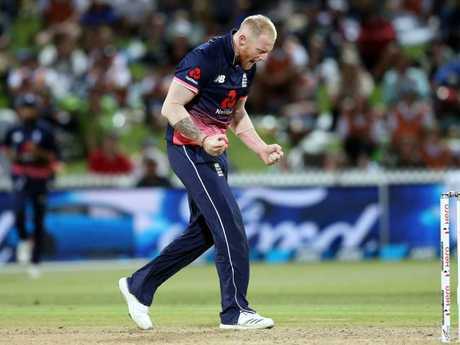 Stokes was purchased for $2.4 million in January's Indian Premier League option and remains and attractive option for both Sydney franchises and the Renegades in addition to the Heat. If he or any other England Test player is available, it is likely they would be permitted to play until mid- January at the latest, which next summer will be barely halfway through the elongated season. The Sydney Sixers have two overseas spots to fill and there is no guarantee Jason Roy - who endured a dismal BBL 07 campaign - will be welcomed back by coach Greg Shipperd. Sam Billings averaged 31 across six games this summer and will almost certainly find a home next season, although it remains to be seen whether that's at the SCG or another club. Andre Russell could be in for a Sydney switch-up. 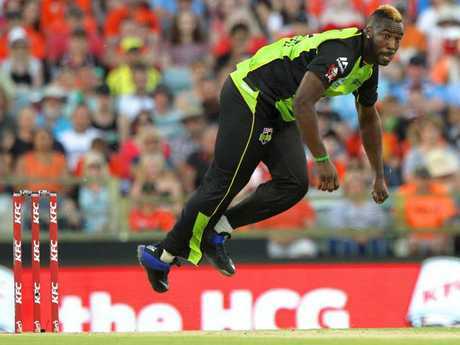 Industry sources have revealed that the Sydney Thunder have a fight on their hands to retain Andre Russell, with cross-town rivals Sydney Sixers reportedly keen on the big-hitting West Indian. If the Thunder loses Russell, it would open the door for as many as two English players to join the club for the entire BBL 08 campaign. Tymal Mills and Jofra Archer are already locked into the Hobart Hurricanes, while it appears unlikely the Adelaide Strikers will discard cult figure Rashid Khan and may not sign another overseas player. The Perth Scorchers have traditionally had just one overseas player at a time in recent years, instead electing to promote local talent throughout a hugely successful period for Langer's team. Following Morne Morkel's retirement announcement this week, Brisbane Heat is in the box seat to lure the South African to Queensland, while the Melbourne Renegades have several big squad decisions to make following the retirements of Brad Hodge and Brad Hogg. As it stands, the Thunder is the only franchise on the lookout for a new coach following the departure of South African Paddy Upton.